TOUR GUIDE RESPONSE: Thank you Darren for taking the time to offer your most excellent review. Next time sample flying fish, or conkie, perhaps local beverages of sorrel or mauby (which has an interesting 300 year history). Do enjoy your cruise. Tour and lunch stop were amazing! TOUR GUIDE RESPONSE: Thank you Jim for taking time to offer your review. The last minute recommendation to visit Medford's Craft World and learning of the uniqueness of Barbados Mahogany and their craftmanship was a real plus factor. Thanks for visiting Barbados. One of the best guides very knowledgeable, intelligent and nice. TOUR GUIDE RESPONSE: Thank you Fred for taking time to submit your 5 star review and I enjoyed your wit too. TOUR GUIDE RESPONSE: Thank you Mark for taking time to offer a 5 star review. Yes we did have a great day. Looking forward to sharing part two of your visit. Thank you victor for a while nderful day on Barbados. He treated like VIP and changed the itinerary to fit our wants. Loved it! TOUR GUIDE RESPONSE: Thank you Maryann for your 5 star review. Yes we changed planes which worked out very well. And its still tropical here, so when you all need warming up Barbados is your place. During our morning tour Victor gave us an interesting lesson in topography and gully formation. He followed our itinerary to the minute and gave us a great history lesson about Barbados. We stopped to take beautiful photos everywhere. He is personable and knowledgeable. We've already planned our next visit! 5 stars! TOUR GUIDE RESPONSE: Thank you and Bob very much for this positive review; we did have a pleasant tour. Look forward to sharing more of my island with you during your next visit. Victor was most accommodating with consideration of my wheelchair. he was very knowledgeable and able to answer all of our questions. very satisfied to spend time with him. TOUR GUIDE RESPONSE: Thank you Amy for your favorable review and I appreciated the questions. Thank you for visiting Barbados and choosing my services. We had a rewarding time together. Victor provided an informative and interesting tour. He was very responsive in our communications and very agreeable in customizing and coordinating a tour based on our interest. 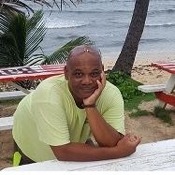 We would recommend Victor if you are looking for a guide in Barbados. TOUR GUIDE RESPONSE: Thank you Darrell and Nee for such a quick review and a very positive one as well. It is great when a plan comes together. Thank you both for the Hawaii treats, my wife Melva has laid claim to the peak cap. Do have a pleasant homeward bound trip. My husband and I visited Barbados to learn more about my ancestors who lived there 300 years ago. Victor put together a tour for us which included a special visit to the Arlington Museum, cemeteries, and even the building in Speightstown which was the family home! His knowledge of the history was excellent. He also took us see the scenic spots along the north which increased our appreciation for the beauty of Barbados. We plan to return and will definitely request another tour with Victor! TOUR GUIDE RESPONSE: Hi Barbara & Ken, I inadvertently missed your review and just decided to have a look through and saw that I did not offer a response. Thank you for taking the time to offer your 5 star review. Great that you got to Juma's . Of Barbados' 11 parishes 10 are saints, I live in the "saintless" parish. Wonderful tour loved every minute so informative. TOUR GUIDE RESPONSE: Thank you Sherri, we had fun and information. Thank you for offering a 5 star rating. Victor picked us up on time, Vehicle was suited to our needs. He provided a tour that stuck to a schedule that kept us in front of large group tours. Victor was extremely knowledgeable about his island and it's history. He provided a "show and tell" when he would talk about things such as a piece of mahogany, ancient tools used by indigenous peoples and what a fly fish looks like to name a few. The local restaurant he recommended was perfect for our group. I would highly recommend Victor. TOUR GUIDE RESPONSE: Wow! Thank you for your quick and excellent review rating and for choosing my guide services. You sampled a variety of Barbados from underground, to high above, sugar cake, sugar cane, coconut water, Bajan macaroni pie and 3 different fish. Well done, I say, for 6 hours. We had a wonderful full day history walking tour of Bridgetown plus round the island tour by air conditioned minibus. Victor C is extremely knowledgable on all aspects of Baijan history and culture. He was flexible and patient with our last minute addition to the itinerary to see the Oval cricket ground, our mini stop for shopping, and change in lunch plans. He is as excellent a listener as he is a speaker. I highly recommend Victor as a tour guide & ToursbyLocals is a very professional organisation. TOUR GUIDE RESPONSE: It was my pleasure to introduce my homeland to your family and to share our cultures and realize the commonalities. Thank you so much for taking time to offer your review and such an excellent one too. Hope your first Barbados vacation was a positively memorable one and thank you for choosing my services. Oh, what a day we had with Victor! It turned out that my wife and I had Victor's undivided attention, as I was unable to convince others to join us. Victor was waiting for us as advertised, and off we went. The walking pace was comfortable, and Victor gave us a comprehensive summary of the history, culture, and politics of both Barbados and Bridgetown. We saw the accepted tourist attractions, but also roamed the back streets and alleyways to get a real "feel" for the town. Finished with a "cold one"! TOUR GUIDE RESPONSE: Many thanks to both of you for choosing my services and pleased that you got a full appreciation of the heritage. If there were more stars, I would give them to Victor. He is a wealth of information not only his island, but all the surrounding islands. He was waiting for us with an obvious sign and plan and did not disappoint even when we requested a last-minute change of plans. We requested a visit to the synagogue and not only did he immediately take us there, but was well-versed in the history and present situation. I highly recommend anyone visiting Barbados to request his services! TOUR GUIDE RESPONSE: Thank you so much Elaine for your very positive and encouraging review of your group's experiences with my services. Stay well. Superb guide for a custom tour on the history of slavery, and connections with the U.S. during the colonial period, as well as more general comments on contemporary Barbados culture, politics, and economy. Highly articulate, excellent command of a wide range of information, an engaged and enthusiastic storyteller. We loved it. TOUR GUIDE RESPONSE: Thank you Stephen and friends for your very favorable comments. It certainly was my pleasure to interpret Barbados and place it within the wider context of the Western Hemisphere and England from the colonial era to the present. Look forward to sharing even more on your next visit. Victor was very pleasant, helpful and a great source of information about Bridgetown and Barbados. It was a great way to see the city highlights in a delightful half day. We are senior citizens (thought active), so he adjusted his pace to ours. I would not recommend this tour to people with mobility problems, however, since you do need to walk to really see things. TOUR GUIDE RESPONSE: Wishing you and family wellness for 2017 and thank you for taking the time to submit your positive review. Victor was a very informative guide. We just had a short hold over before our flights but he helped us to make the most of our time and took us to a couple places that were exactly what we wanted to see you. He was very polite, patient and his car was very clean and nice. 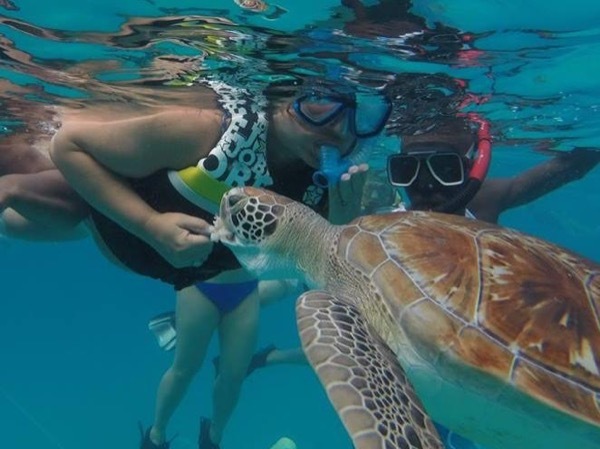 If you are in Barbados and want to make the most of your time there - I highly recommend him. TOUR GUIDE RESPONSE: Thank you Marcie and family for your favorable review of my private tour guide services. Brilliant tour by a knowledgeable and terrific chap. TOUR GUIDE RESPONSE: Thank you for taking the time to submit a review and a very positive one it is. I look forward to sharing with you more of Barbados' heritage.